Need something special to include in your Christmas cards or to hand out instead of Christmas cards? 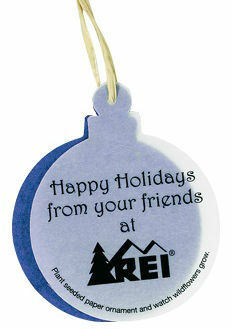 Print your advertising message on a Seeded Paper Christmas Ornament. They are small enough that they won't add any extra postage expense. 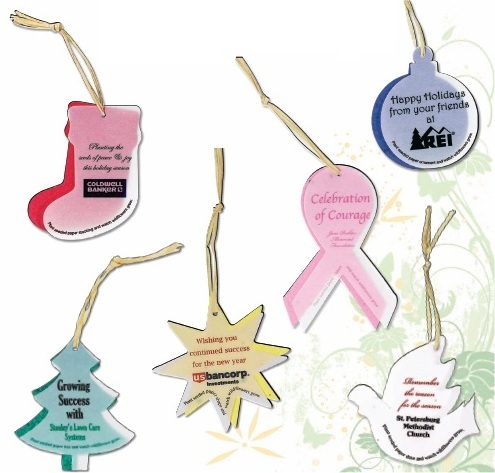 These "eco" and economical seeded ornaments are printed with your full color message on elegant vellum paper and attached to one of six Christmas holiday shapes with a natural raffia tie attachment. 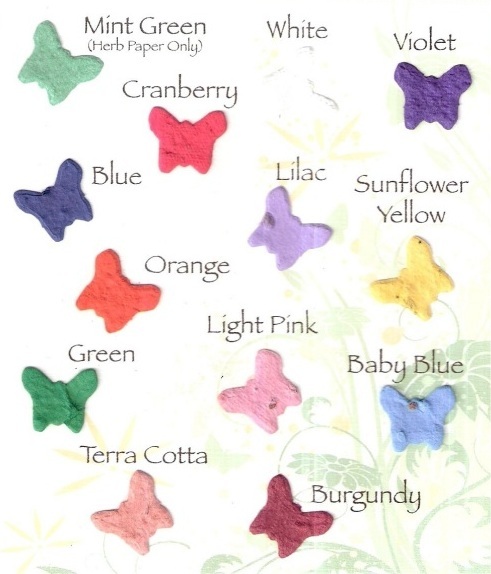 The vellum paper reminds your customer of your thoughtfulness with your custom printed message printed on the ornament while the seeded paper can be planted to remind them of you when the flowers or herbs sprout.